Jan Rowe delivering her acceptance speech. 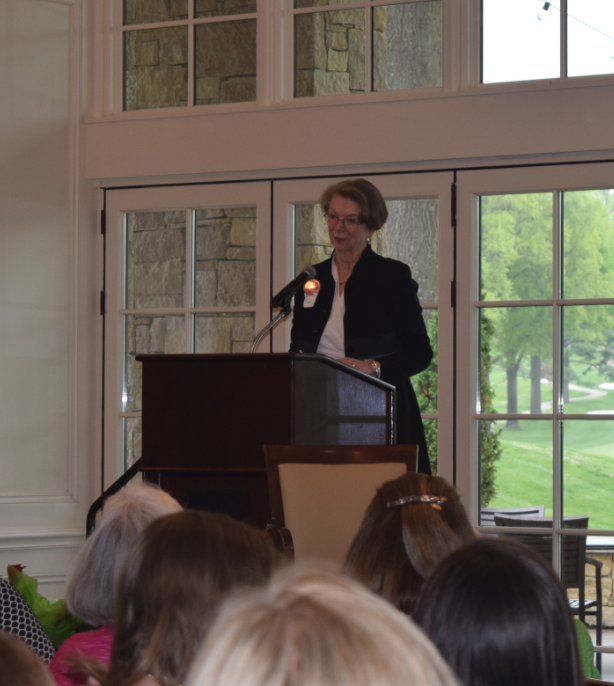 This year’s annual Spring Sustainer Meeting was an evening filled with celebration! Celebration for the wonderful contributions the League has brought to our community and for this year’s Community Service Award Winner, Jan Rowe. Jan served on the financial board and as Vice President of Finance (known today as the Finance Council and Director of Finance) along with having been the Director of Sustainers. She also helped create Jazzoo and served in many leadership roles in her Active years. The Community Service Award is given to one Sustainer each year for exemplary public service across our community and is awarded through the Sustainer Nominating Committee. Jan received multiple nominations for this award. This entry was posted on May 31, 2017 by JLKCMO in Community Impact.